Remove the doll's clothing and hair. Remove the hair by cutting the length of it off and then pulling out the roots with pliers. 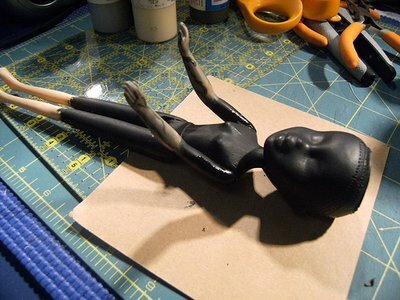 Paint the entire doll with the black paint except for most of the arms. Then use a small brush to paint veins or other kind of gross accents on the arms and hands. Put the piece of thin cardboard around the doll's hip and thigh area and make sure it is tight at the top with a wide bottom. Use tape or spray adhesive to secure the cone and the doll into it. 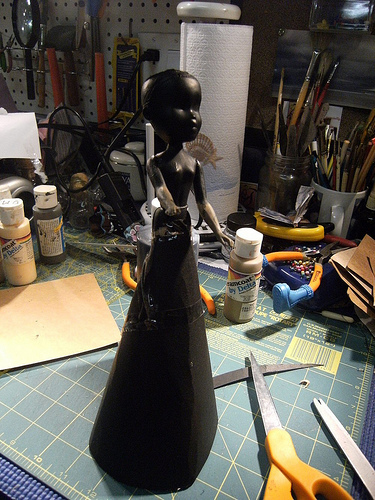 Take a piece of the black specialty fabric and set it right on top of the doll. 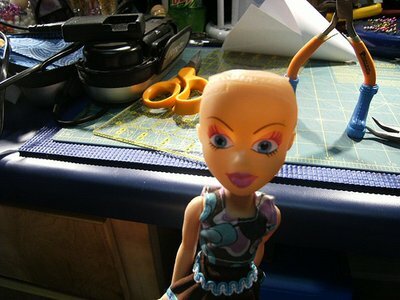 Use a small rubber band and put it around the doll's neck to make the fabric tight around its head. Cut two small holes in the fabric with scissors so that the arms can poke out. 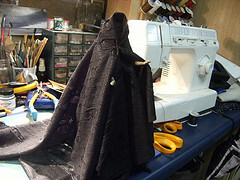 Take a second, larger piece of black specialty fabric and drape it around the face area to give it the look of a hood. tighten up the hood right at the base of the chin and neck area. 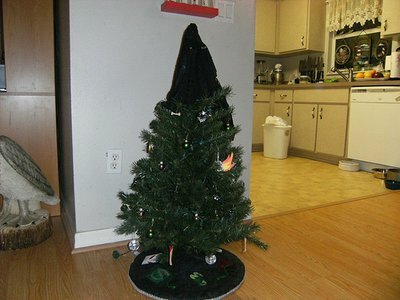 Put the dementor on the top of the tree celebrate Christmas like a true Death Eater! © lezlishae's tutorial was taken with permission.